Enjoy the best inspirational, motivational, positive, funny and famous quotes by Abigail Tarttelin. Use words and picture quotations to push forward and inspire you keep going in life! 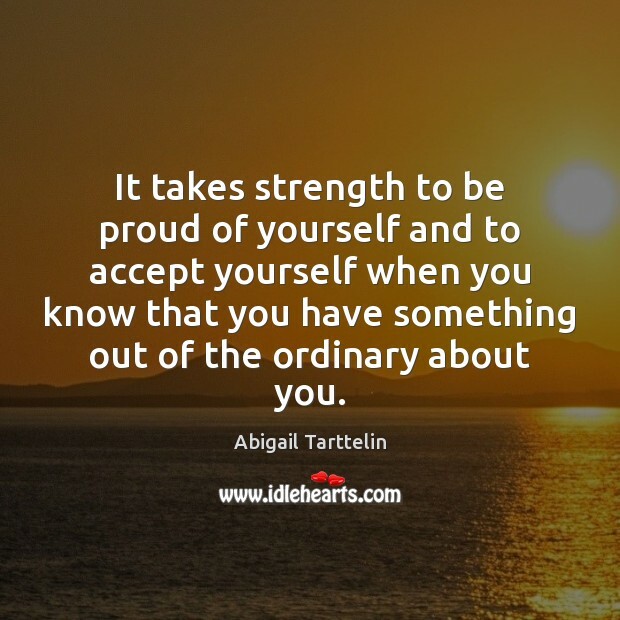 It takes strength to be proud of yourself and to accept yourself when you know that you have something out of the ordinary about you.